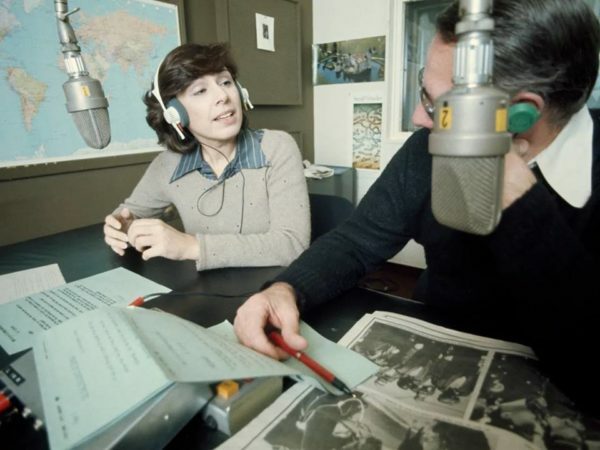 From her interview with a hard-of-hearing cabbage farmer to the time she helped mediate a hostage negotiation, Barbara Frum is still one of the most recognized voices on Canadian radio. To her son David Frum, the legendary As It Happens host was a journalist with an abundance of energy — which she channelled into thoughtful, humorous and direct interviews during the show’s original six-hour format. Barabara Frum died in 1992 of chronic leukemia. She was 54. 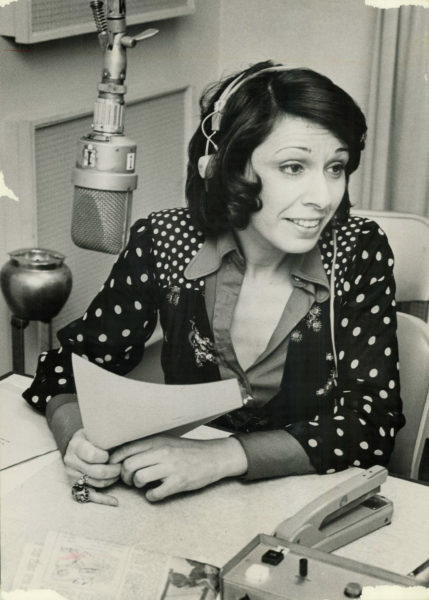 Her career spanned decades at the CBC, and her legacy continues as the voice that shaped As It Happens. David Frum, senior editor at The Atlantic, spoke with current As It Happens host Carol Off about his mother’s legacy in an interview for the show’s 50th anniversary radio special. What does it feel like to be in here knowing that your mother’s spirit, her legacy, lives in this room, in this show? It’s always a little spooky to talk about her. I am today four years older than she was when she died. And of course the studio is blocks away from the studio where she recorded her interviews, in much shabbier premises. What was your mom like at home? This is something I did not know exactly at the time that it occurred, but she got the diagnosis of her illness in 1974, so three years into the program. And she lived for 17 more years. But she did not get a diagnosis: “You have 17 years to live.” She got a diagnosis: “You have two years to live” — eight times. I didn’t know, many people in the CBC didn’t know, until well into her her sickness. She hid it so well. She was very private. But even the people she worked with, she never let on. Her energy never flagged. We never saw this. She was amazing. She would crash at the end of the day. It would be like going off the energy cliff. She would just be wiped out. I remember some journalist got hold of the news somehow and wanted to make a little gossip item … and I remember my father telephoned him. The journalist was prevailed on not to print the story.